All you need to know about the costs of hiring an Electrician including hourly and daily labour fees as well as tips on keeping the price down. You'd be surprised to learn how much the cost of hiring an electrician can vary from one region to another in the UK. And, given the type of work being done, the size of the job, and additional tasks required prior to completion of electrical work, prices can fluctuate greatly. Whether rewiring a home or doing minor electrical repair, homeowners are best served hiring an electrician, rather than attempting a DIY project. If you are looking for the most qualified and affordable pricing, these are a few things you should familiarise yourself with, before you start looking for an electrician. What jobs does an Electrician do? Upgrade wiring to meet regulations. Tradesmen who perform electrical work will charge anywhere from £20 to £50 per hour. This is greatly dependent on the area which they are servicing, so major areas and cities tend to be pricier. In addition to this, the type of work will also affect costs. If rewiring an entire home, you can expect to pay less per hour than if you are simply replacing a few dated switches in one room of the home. And, for projects which require two or more contractors (for safety purposes), the amount you pay per hour per tradesperson should be lower as one of them is often an apprentice. It is important to compare a few quotes so you can find the most affordable pricing. In some cases, by comparing a few local companies you will often find a great disparity in prices, and sometimes find an electrician who is willing to do more, for a lower rate. Some companies will also charge a minimum half or whole-day rate, regardless of the job. This will end up costing a minimum of £75-£100 in most cases, so this is worth considering if you are looking for the best local electrician. You know that large companies tend to overprice. As such, using an online service like Myjobquote.co.uk is a great place to start your search. In addition to comparing quotes, you can also compare local specialists, based upon the type of electrical work you need them to do in your home. Homeowners can also rely on forums and online comparison sites. This provides you an additional resource so you can compare a few companies, and understand the work they do/perform, as well as their rates, allowing you to make an informed decision when you are ready to hire a local professional. Before hiring an Electrician, these are a few questions you might want to ask. Will my home be up to code once new wiring is updated and installed? How long is the work likely to take? Electrical work is often complicated. What seems like a simple repair job can get messy quickly, and can result in major repairs or replacement below the surface, especially if previous work had been carried out by someone incompetent. Because of this, unexpected costs are going to turn up. 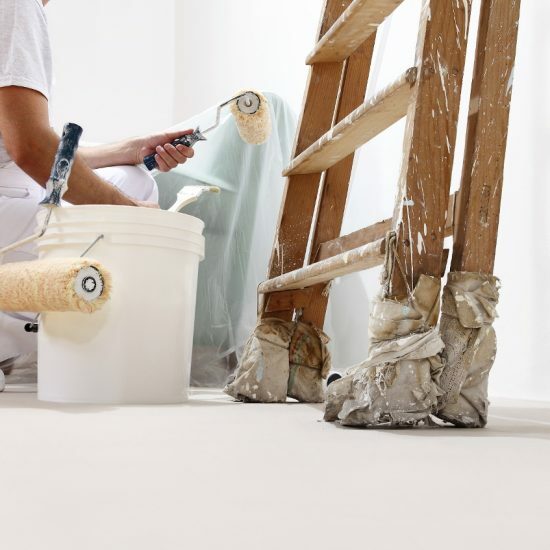 From tearing down walls, to ripping up your flooring to access wiring, homeowners should prepare themselves for the worst, especially if their home is older, and electrical work hasn't been done for years. If you are looking for a local electrician, not only should you compare their flat rate or hourly rate, but also the costs/prices they charge for additional labour, or bringing on an additional electrician to finish the job. It might be worth having more than one specialist, and paying a little more up front, to finish the work faster. Although every job is different, as a homeowner, you should prepare yourself for unexpected and unforeseen costs ahead. If your home is over 50 years old you are likely to run into some issues with bad wiring/practices. Free the area of clutter, remove obstructions, and make sure the area is prepped so they can begin working. This is especially true if they charge by the hour. The more time they can take, the more it will cost you, so minimise the total time for project completion, by preparing the area before the electricians arrive. Homeowners might also try to purchase wiring and other supplies at a local electrical store, rather than purchase from the electrician directly, as they typically charge an additional premium on any supplies they buy themselves. 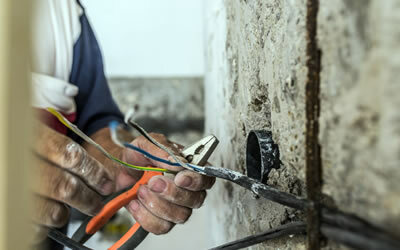 Electrical work is one of the few tasks or projects you should definitely leave to the professionals. It is dangerous, and if you don't know what you are doing, you can cause electrical blowout, fuse shortages, or even, in some instances, fire or electrocution. As a homeowner, even if it means you are going to pay a premium price, when you need any form of electrical work done in the home, you should hire an electrician. Not only are they qualified to do the work, they are also going to guarantee the services which they provide in your home as well.